Use the challenge zone and battle it out with safe landing in the foam pit. Practice new tricks using our amazing airbag or see if you pass the vertigo test by jumping from the dive platform. 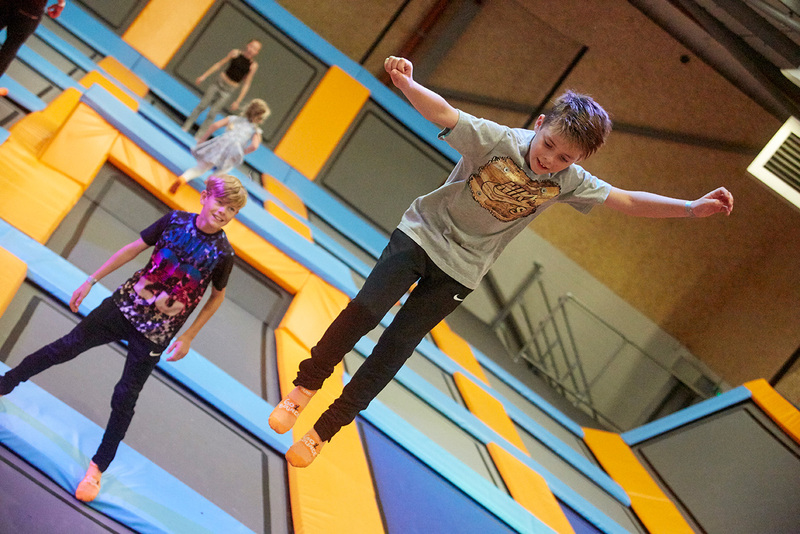 We also have an area with basketball hoops where you can perfect your slam-dunk tricks or why not have dodgeball session on the dodgeball court. Go wild and challenge your friend and family to the ultimate game of dodge, duck, dip, dive and dodge!